best remedy to this gloomy weather? it sure did lift my spirits up. and i never thought these heels would ever see day again. i swore pointy heels off my life. but as they say, NEVER SAY NEVER. happy sunday to you guys! Love the pants and clutch! First - give my special regards to your photographer, he? is beyond pro and so so perfect taking these photos! Second - you are doing this color blocking thing so delicate for the colder weather... you are ment to wear lots of colors, dear, this is your season! G R E A T. Ganz einfach :) Der Blazer von OH My Frock ist toll! great clothes and great colors! I love colour blocking!! You did a great job in these pics! Those colours look great on you and I love that blazer! 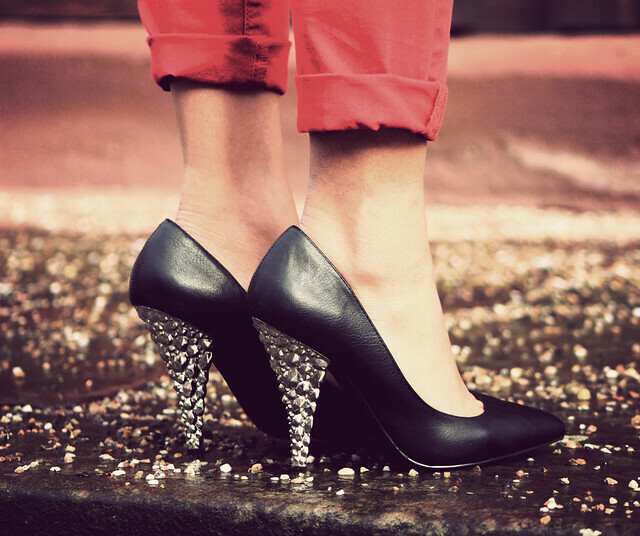 Gosh, those heels are fierce! And I'm totally digging the red pants. They are hot on you!!! another pair of shoes that makes me feel jealous. you look amazing, girl! It looks alright I'm Yago Richelly Blogger fashion here in Brazil I saw your blog and I love it too Congratulations, you're great, I'm inviting you to visit my blog if I wanted to follow you can follow him back. we can also contact us to exchange Blogroll, would be a great idea! this is so pretty! love it! i love that colour combination! but now i want that clutch but i wanted to save for a change... ahhrg! once more, love your otfit, i like colors all year long! great shoes and lovely pants! Love red pants! Way to rock it with the blazer. Very chic look! And great snake ring too! I love your snake ring and pumps are totally amazing!!! Love it! The first picture look so urban! And I still want a red pants 2! Love it! You look wonderful!! gorgeous! 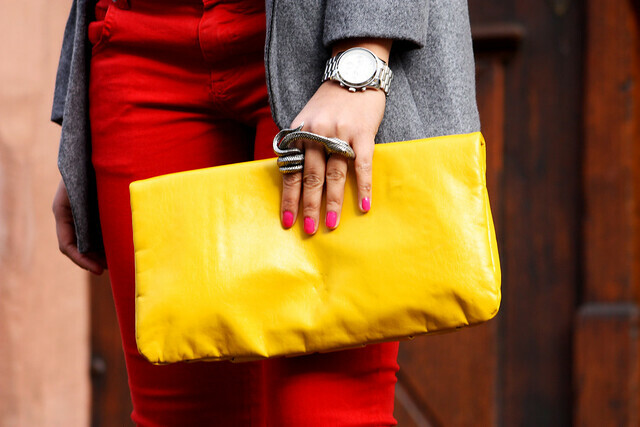 love that big, yellow clutch. and also your shoes are amazing. great look! love your pants! my god, in love with this look. deff a new follower and following you on twitter! thats how much i love this haha! Amazing look ! I love your shoes. OMG The blazer..... I want it sooo bad right now! I love the whole outfit but the blazer just whows me!!! Love this look! especially like the red skinny jeans. in love with this outfit, i want everything! This look is so rad! i love the ring, and of course the pants! you look gorgeous!!! love this outfit so much! Stunning look, great colors, yellow bag and red pants, I love that combination !! Colour always does the trick for a crappy mood! The outfits ROCKS! Du bist einfach eine Inspiration für alle Fashionblogger da draußen !! I love the different colors! that manly blazer is gorgeous! i love the color in this post!!! very berry cool! very cute! you pull this off well.. love your rings!! Great outfit! I'm loving your boots so mutch! The pants also look great! I really love the way the lapels are cut on this blazer. Really, really brillz. And of course, the hair. When I first glanced at the first photo, my eyes were blurry, and all I saw was a wrench with your shirt and lapels near your waist. It does create the shape of a wrench if you look closely. LOL. Thanks for dropping by my blog! Tschüss! That bright little clutch is just the perfect pop of colour! ive been rocking my red jeans for two days straight. love it. was even going to bring out a fab yellow bag i have. great structuring! You look gorgeous! I also mixed some bright colors in my last post ;) Love them!! Once again I love your outfit, babe! I have that same snake ring! Love the outfit the blazer and pants are great. the combination of colours are great!